Session fees include: Jessica’s time and talent, a pre-session consult via phone, email, or in person, professional editing on select images, an online gallery, as well as hi-res and web sized file downloads for printing or sharing. The first payment of $50 is a non-refundable deposit and is required to secure all sessions While rescheduling may be a possibility and I am fairly flexible person, no date other than the one secured for your session is guaranteed. I also want to make sure that your photography dreams are within reach. I understand living on a budget and will gladly chat with you about payment plans to make a photo session a reality. Please contact me for all rescheduling possibilities and payment plans. $200 // Whether out at a favorite family spot or in the comfort of your own home, I want to help cultivate some beautiful moments between you and your loved ones. Taken with a lifestyle approach, these photos include plenty of candid moments as well as a few select posed photographs. $250 // Don't you just adore all of the tiny, perfect details of a freshly born babe? Taken in the clients home, we will work to capture all of those details and more in your most comfortable environment. From natural, simple posing of your new little one to quick kisses from a sibling, these sessions are designed to give you photos that take all of the dreamy love of these newborn days and wrap it up in images you can treasure forever. $200 // The love, the excitement, the newness, the growing bump; there isn't much that tops the wonder of pregnancy. Be it your first or fifth, I love to capture the beauty of an expectant mother. From personal portraits to a whole family affair, let's work together to remember this beautiful and fleeting time. $100 // Those first hazy days after a baby is born can be such a blur. Let me sneak in during those first 48 hours to snap a few photos that will capture a sweet stage that you don't want to forget. Short and simple, these sessions will give you images of precious newborn details, first sibling meetings, and the awe that encompasses parent and new child. $95 // Want to document your baby's new sitting or walking skills? Or perhaps you just have a six-year-old with a precocious grin? Maybe you just want a few updated portraits of your little ones to give to Grandma. Thats what makes these sessions great! Short and sweet, these sessions will give you just a few new photos of your children without being long enough to bore them. $200 // Want to freeze time exactly the way life is right now--no special outfits or outings, just everyday life? Me too. I love telling a family's story in simple, beautiful, documentary photos. Be it baking cookies, reading books, or simply going about your daily routine, I'd love to enter your home for a short time and help you grab a handful of your day as you see it in this season. 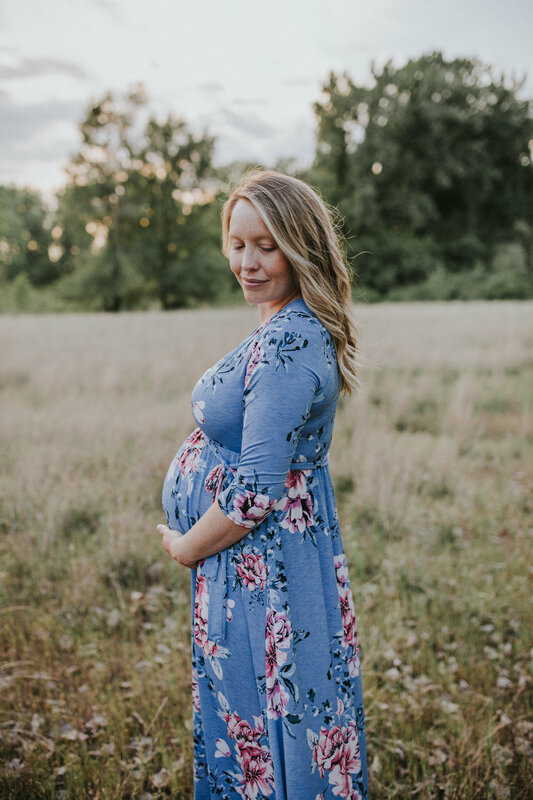 This is a great session to document a breastfeeding milestone, a first home before a move, or simply a different take on your yearly family photos.